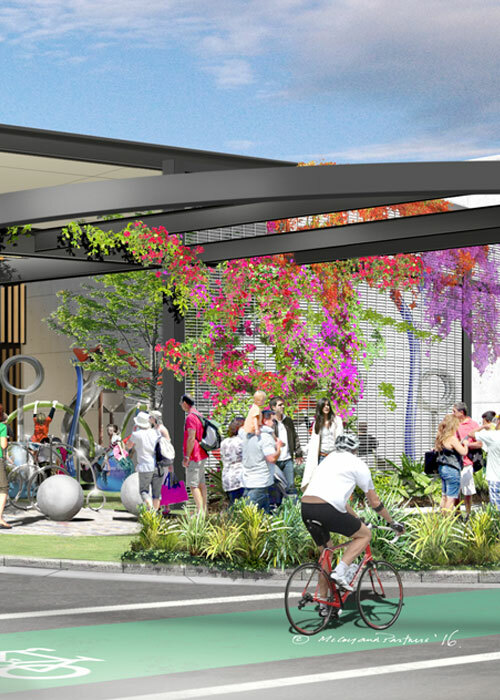 The Oceanside master plan defines the shared vision of Stockland and the Sunshine Coast Council for the development of this evolving town centre. The town centre occupies an area of approximately 18ha, with extensive frontage to Lake Kawana. It sits adjacent to Oceanside’s landmark health and medical research precinct which includes the Sunshine Coast University Hospital. 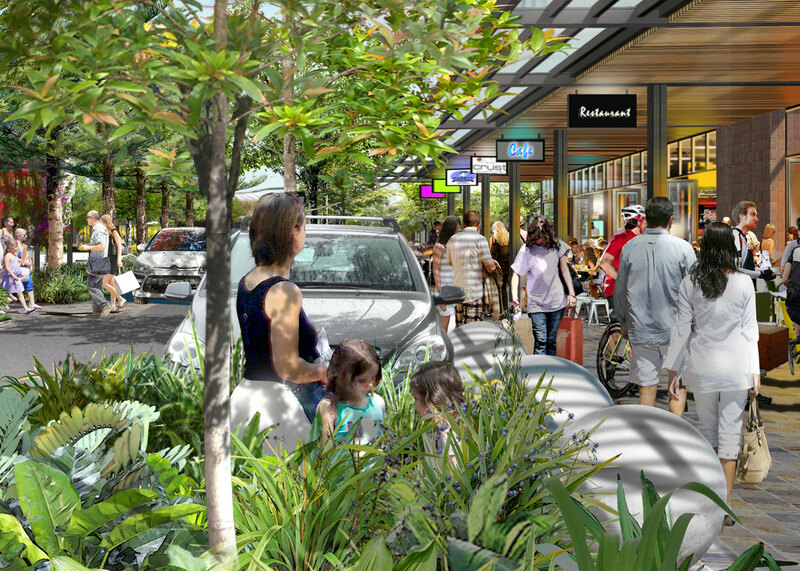 Our team has worked closely with Stockland to develop and refine a master plan which responds to current market conditions and the expectations of government and the local community. A series of briefing presentations to SCC has aligned continuing work with agreed, key design principles and sustained support for the project’s direction. The proposed town centre is mixed-used, with retail and civic functions integrated with commercial, health related research facilities and high density residential. At the core of the town centre is high quality public realm and a new civic plaza fronting Lake Kawana. 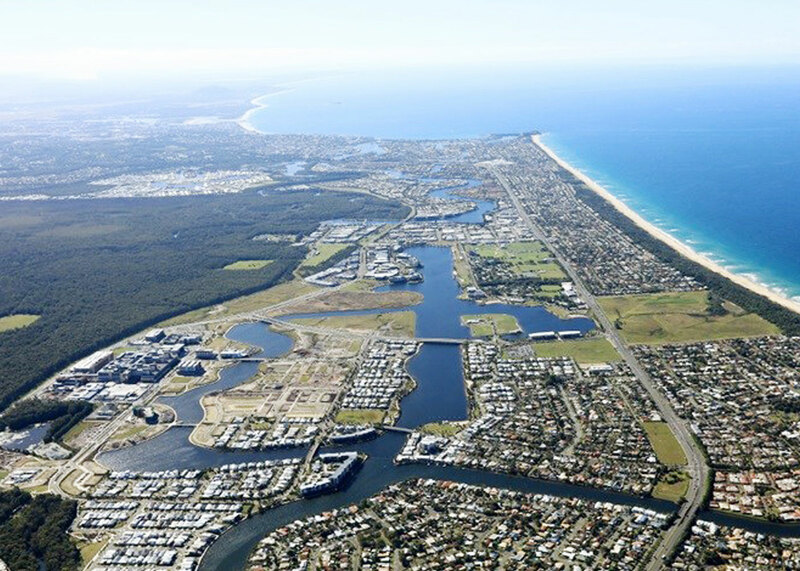 The master plan is designed to connect the centre with a future light rail service, proposed for the Sunshine Coast. The first stage of the retail core, which includes a public main street integrated with a major retail centre, is currently under construction and is expected to be completed by 2019.